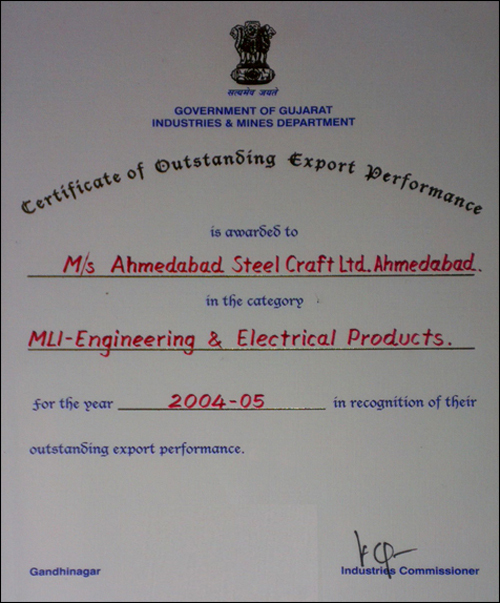 At Ahmedabad Steelcraft, there is a very rigid quality control. 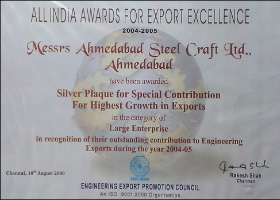 Sample pieces of sections are inspected at frequent interval and the measurements are recorded. At every stage of the process, inspection is carried out. National and International inspection agencies like - Bureau of Indian Standard (BIS), Lloyds Societe Generale de Surveillance (SGS), S.A. Bureau Veritas, etc. have found our sections matching to International Standards. The manufacturing of the sections are in strict adherence with various standard. 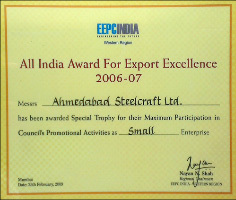 In order to match the specified standard Ahmedabad Steelcraft Ltd. follows consistent and high level approach. 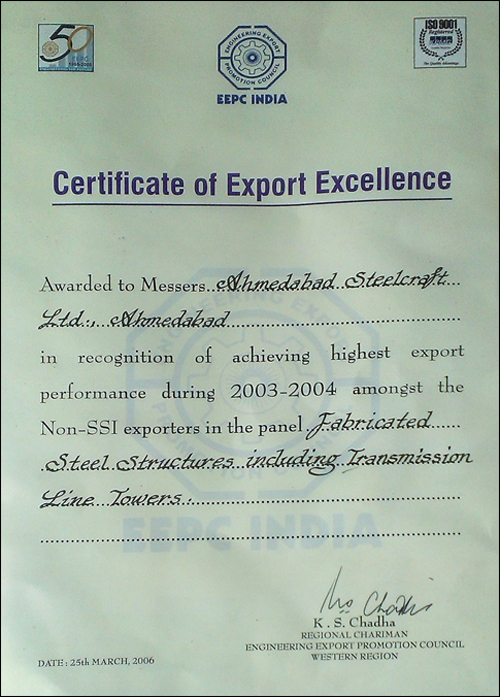 This enables us to maintain the international level quality Steel sections and profiles. 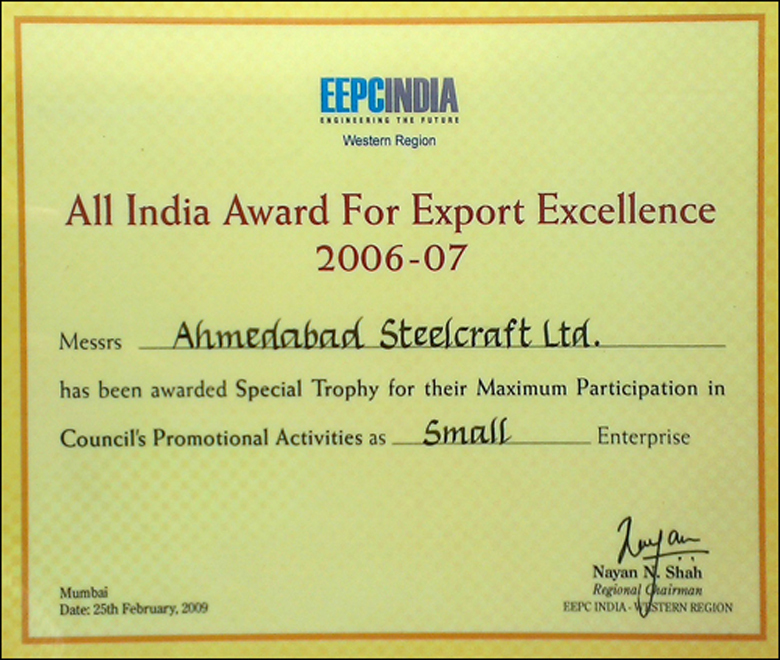 At Ahmedabad Steelcraft, there is a very rigid quality control. 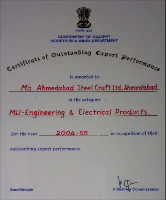 Sample pieces of sections are inspected at frequent interval and the measurements are recorded. At every stage of the process, inspection is carried out. National and International inspection agencies like - Indian Standard Institute (ISI) Lloyds Societe Generale de Surveillance (SGS) S.A. Bureau Veritas, etc. have found our sections matching to International Standards.